The Bo Bartlett Center will be a 18,425 square foot interactive gallery space, housed on the River Park campus of Columbus State University. The red brick, former textile warehouse turned gallery space, designed by AIA award winning architect, Tom Kundig, sits on the banks of the Chattahoochee River in Bartlett’s hometown, Columbus Georgia. As a cornerstone of the College of the Arts’ Corn Center for Visual Arts, The Bo Bartlett Center will be a pivotal element in the continued emergence of a national and international presence originally established by the College’s Schwob School of Music and its Legacy Hall. Complementing exhibitions in the CSU Department of Art’s acclaimed Norman Shannon and Emmy Lou P. Illges Gallery, The Bo Bartlett Center will serve as an experiential learning center and cultural hub for the visual arts while affording visitors a broad range of arts experiences offered within the College’s arts district. The mission of the Bo Bartlett Center is to explore creativity and learning within the context of the work and studio practice of the painter and Columbus, Georgia native Bo Bartlett. 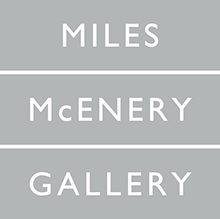 The Center is a unique partnership between a living mid-career artist and a state university, and will feature a range of changing exhibitions and programs. As a multidisciplinary institution, the Center will boast a wide range of diverse programming including exhibitions, concerts, lectures, and film. To expand the Center’s reach we are developing a network of affiliated art schools, museums and universities across the country for ongoing partnerships and collaborations. The Center jointly sponsors an annual Bo Bartlett Master Class in the spring with the Bartlett Studio, and will develop a second Master Class with visiting artists in the fall of each year. The Center will also regularly publish books, catalogs and related publications with the first, a two hundred twenty-five page mid career monograph on Bo Bartlett in March of 2016. This hardback book will be published and distributed internationally by Scala press and feature images from every phase of Bartlett’s career with essays by the Center’s director David Houston and the art writer, editor, and poet Carter Radcliffe. 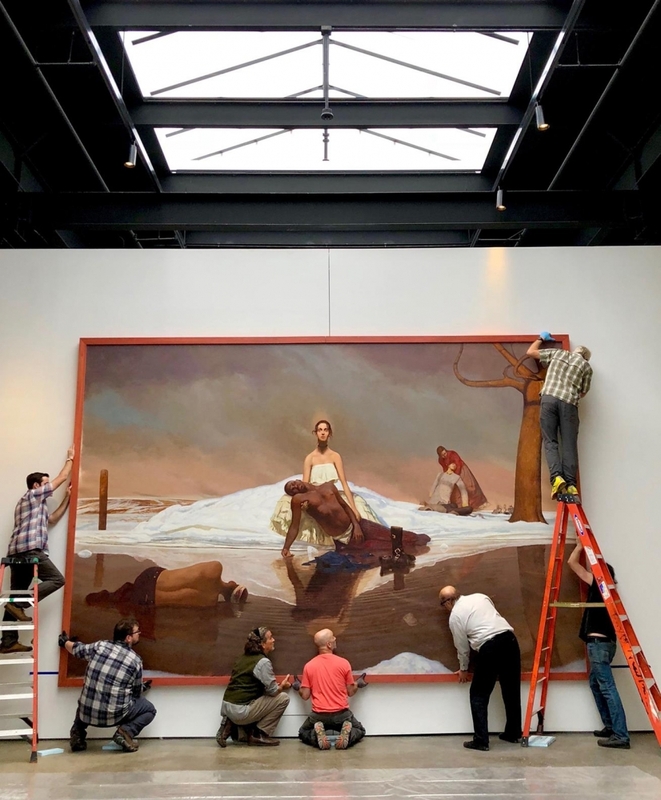 When established, The Bo Bartlett Center will house and display The Scarborough Collection: 14 monumental paintings by Bartlett. Additionally, the Center will house more than 300 paintings and drawings as well as the complete archive of sketch books, correspondence, journals, recordings, photographs, artistic notes, memorabilia, objects and objects d’art relevant to the production of Mr. Bartlett’s work. These holdings reveal the intellectual rigor and spiritual discipline involved in the process of developing a single work and a sustained artistic oeuvre. The estimated value of these gifts to the Center is in excess of $10 million. This combination of original art work matched with the archival documents relating to that work provides unprecedented opportunities to explore insights into the multi-level process of artistic creation. A rotating exhibitions gallery will feature the work of visiting American artists of national and international acclaim who will also teach master classes. This gallery will be available for traveling exhibitions from neighboring museums and universities throughout the Southeast. On occasion, this gallery will also exhibit pieces from CSU’s Permanent Collection of more than 500 works of art and objects such as the Benno and Babette Rothschild New Guinea Collection. A third gallery will consist of an interactive research center where students and scholars may access Mr. Bartlett’s archival materials either physically or in digitized formats. The entire Center will be designed as an interactive learning environment. With the addition of a College of the Arts library on the CSU RiverPark Campus adjacent to the Bo Bartlett Center, the Center’s curator will continually broaden the collection by actively seeking the donation of sketchbooks, journals and archival materials of other noteworthy American artists interested in a permanent repository for their work. By combining the exhibition elements of a contemporary art museum with the master instruction of a living American painter of international stature, his major works and the insights of his archives, The Bo Bartlett Center will be an unparalleled resource for students, the public and scholars of art.